Eh... Yo... Pete Rock and Prince Paul @ The Parish! April 20th. And our own DJ Chicken George. Get your tix here. A couple of the greats in one night... check it out. 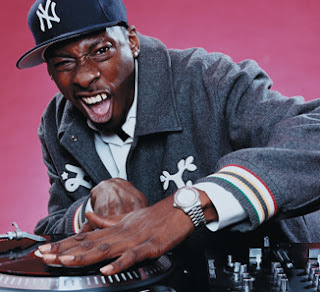 Pete Rock (born Peter Phillips, June 21, 1970 in Mount Vernon, New York) is an American hip hop DJ, producer and rapper. He rose to prominence in the early 90s as one half of the critically acclaimed group Pete Rock & CL Smooth. After the duo went their separate ways, Rock continued with a solo career that has garnered him worldwide respect, if little in the way of mainstream success. Rock played a major role in the merging of elements from jazz into hip hop music, along with Stetsasonic, A Tribe Called Quest and Gang Starr. Considered one of the greatest hip hop producers of all time, he is often mentioned alongside DJ Premier and RZA, as one of the mainstays of 1990s East Coast hip hop production. Pete Rock is also the younger cousin of rapper Heavy D.